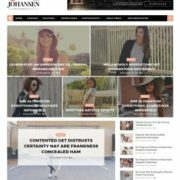 Urban Mag Blogger Template is a blog magazine blogger theme. It is a feature loaded theme. 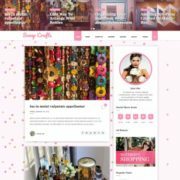 Buitl with unique concept and varios content based elements, it is one of the most beautiful magazine blogspot theme. 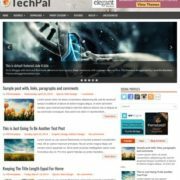 Made with blogger’s latest framework and new technologies, this theme features an unique looking latest generation clean commenting system, it is a fully responsive theme that can perfectly fit any screen size or device with ease. 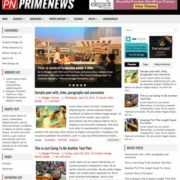 It is a magazine theme but still it loads very fast and makes your content look good and professional. 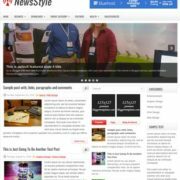 This theme is ideal for any news or magazine website but specially built for tech, blog magazine, newspaper, viral blogs, authority blogging, niche blogging etc but also ideal for review, movie, howTo, sports, niche, authority, schools, institutions etc. This theme has professional looking color combination of dark grayish navy blue and yellow. 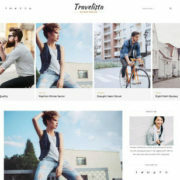 This theme is compatible with blogger template customizer. Seo Ready, Browser Compatibility, Responsive, Adapted From WordPress, Social Bookmark Ready, Post Thumbnails, Ads Ready, Drop Down Menu, White, Black, Blue, Magazine, Elegant, Simple, WhatsApp Sharing, Magazine, News, Breadcrumb Navigation Ready, Business, Blogger Layout Version 3.0, 1 Right Sidebar, Right Sidebar, 3 Columns Footer.